Okay we've hit the deadline for OUAT's Giveaway 3. Thank you to everyone that has entered, and thanks for those of you that have been spreading the word. Muchly Appreciated!! I will be posting the winners up hopefully in a couple of days time once myself and another judge decide the top 3. So Stay Tuned. 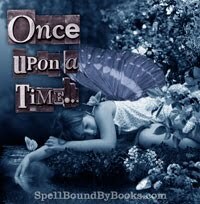 Keep an eye out on Thursday for the second last Giveaway for Once Upon a Time. If anyone has any ideas they'd love to throw my way for a prize for this one, feel free to email me at melissa@spellboundbybooks.com or use the contact form on here!! First Lines: Jasik gripped the photograph in his hand and scanned the face of the boy. If middle school stunk for Vladimir Tod, high school is a real drain. Besides being a punching bag for bullies, he's still stalled with dream-girl Meredith, and he's being tailed by a photographer from the school newspaper. Needless to say, practising his vampire skills hasn't exactly been a priority for Vlad - until now. A monumental trip to Siberia with Uncle Otis is Vlad's crash course in Vampire 101. Training alongside the most gifted vampires is exactly what Vlad needs to sharpen those mind control skills he's been avoiding. And he'd better get it right, because the battle brewing back home with the slayer who's been hunting him could be Vlad's last. After an eventful year last year in Eighth Grade Bites, things don't get any easier for him in this one. Eighth Grade Bites left us with finding out that his substitute teacher Otis is really his Uncle and there are alot more vampires than he thought, good and bad. Vladimir has finally begun to feel a little less lonely, but Vampire 101 through Otis's letters can only get him so far. In Ninth Grade Slays he begins his first year in highschool, and if that's not a big enough deal, his guilt weighes him down over the deaths of his parents that happened four years earlier. Tom and Bill are getting progressively worse, and someone at his school is determined to find out what Vlad's secret is. Only to add to that is the mysterious vampire Slayer. I really enjoy reading about Vladimir and his life. He's got strong morals when it comes to his own kind and he's a caring and genuine character. I can't wait to find out what else Vladimir is capable. Being half vamp, half human leaves him on unknown ground since he's not exactly got solid footing in either side. 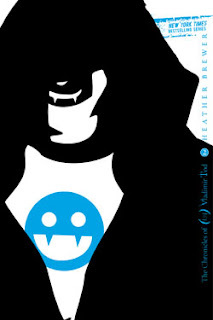 I really like Heather Brewer's writing style and will be keeping my eye out on her future book releases. I think most people will enjoy reading about Vladimir Tod. 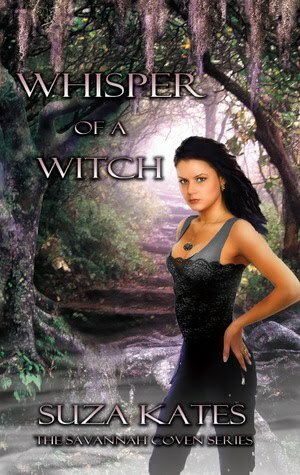 I want to say a big THANK YOU to everyone who entered the Whisper of a Witch Giveaway. I've used Random.org to pick the winner! Congratulations Eva, please email me within the next 48 hours with your details and I'll have that book posted to you as soon as I can. Hey Everyone! Hows the writing going?? There are only 2 more days to get your stories in so don't miss out. 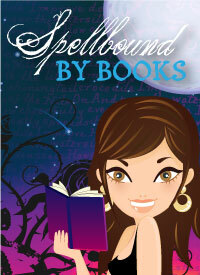 For this Giveaway all stories will be going into the book!!! Thanks Guys. Let me know what you think! First Lines: A tree branch slapped John Craig across the face, scraping his skin, but he kept on running and ignored the stabbing of pine needles on his bare feet. 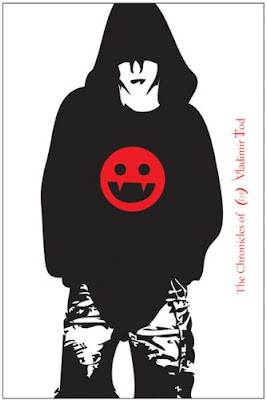 These days there is a lot of vampire fiction popping up in the Young Adult section. There has been many that I've enjoyed and a few that haven't made my favourites list. But I must admit Eighth Grade Bites was completely awesome. Vladimir Tod is just like every other teen trying to get through school. With the minor fact that he was born a vampire, his diet consists mostly of baggies of blood, and the convenient trick of telepathy, he's quite normal. I thoroughly enjoyed reading about Vladimir. His struggle to fit in with school is a subject that most can relate to. It doesn't help the fact that he has a very big secret to hide from everyone with the exception of his good friend Henry and his 'Aunt" Nelly. When the substitute teacher Mr Otis makes his appearance I think the story is as good as sold for me. 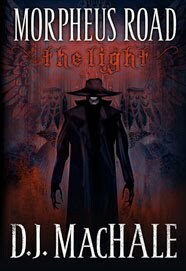 It takes a darker turn when Vladimir begins to learn about his father's history and the very real threat of someone out to get him. 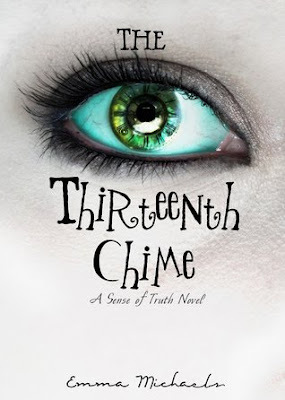 While this story is shorter than some of the books I've read, I was absorbed from start to finish. Including the puns that are dropped throughout the story this was an amusing and entertaining read. I look forward to starting Ninth Grade Slays. 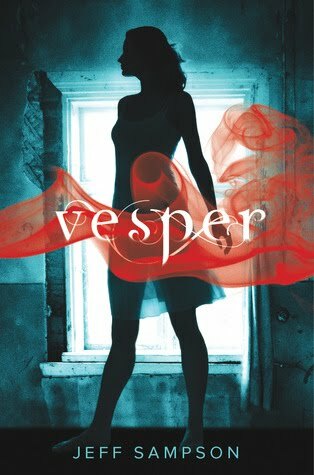 This week I've picked Vesper: A Deviants Novel by Jeff Sampson. 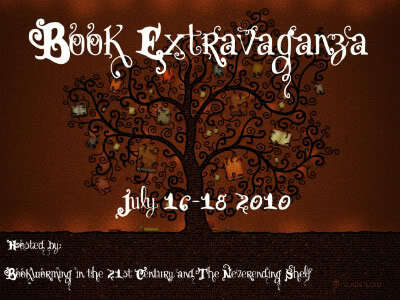 This novel will be released in February 2011. 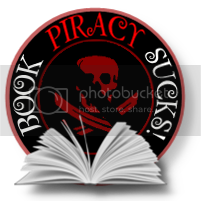 Destination Elsewhere: Fantasy and Sci-Fi books turned into movies? Gale Forman: How books are born. Marianne Delacourt: Author of Sharp Shooter. I really enjoyed reading Sharp Shooter. 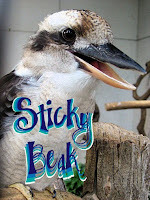 She's an Aussie author and Sharp Shooter has the same sort of humour as Janet Evanovich. First Lines: From a long distance, a traveler, or some wild thing, might see within the deep and absolute blackness of night an intense orange light which looked from afar like a glowing coal. 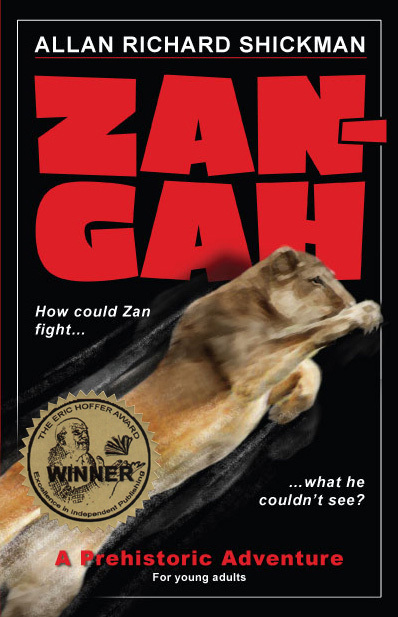 Zan-Gah had an unusual synopsis and I was curious about the world in which Zan-Gah lived. It was definitely an eye opener on the books that I've read in the past and how lazy I've gotten in imagining worlds in which are not based on today's society. Like I said above, I did have trouble at the beginning trying to get into this book and it had nothing to do with the story or writing. I think it also had to do with Zan-Gah being somewhat alone at the start. but once I began meeting the other characters it was easy to imagine what life would have been like then. Zan-Gah suffers the loss of his twin brother who has disappeared with no trace of whether he is alive or dead. After helping to kill a lioness who had taken another tribesmans child he makes the decision to go look for his brother. He endures alot in his travels and it is so realistic I couldn't help but silently cheer him on to keep going. 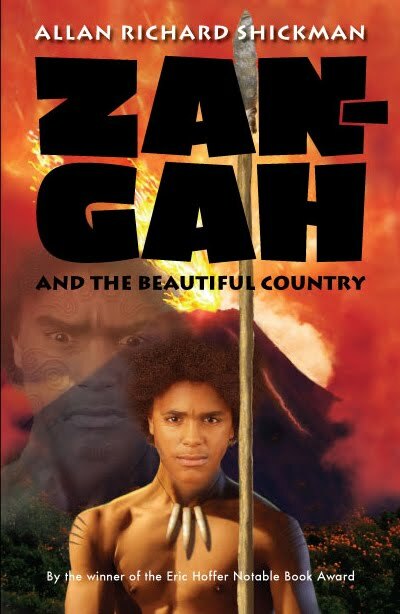 By the end of reading this, I was reaching for book 2 to find out what was going to happen with Zan-Gah and his friends. This is a fresh perspective on the young adult market and I haven't seen anything like it at all. First Lines: My Uncle Pip died and left me his lucky bottle. I suppose I''m fortunate, because he left my Gradma Mazur his false teeth. Possible Spoilers if you haven't read the other books. 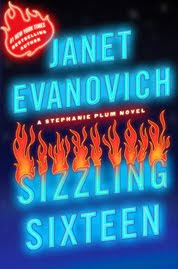 Janet Evanovich has done it again with yet another great Stephanie Plum novel. This time it's up to Stephanie, Lula and Connie to try and find Vinnie and bail him out of a very big hole he has dug himself into. If you haven't read this series, you're missing out on a good laugh! With a cast of characters like Stephanie a terrible Bounty Hunter, Lula who's Stephanie's sidekick and sometimes file clerk for the bailsbonds office and Connie, office manager with a family connected with the mafia you will be laughing out loud at the trouble they get themselves into. One question on my mind though. Who Stephanie will eventually pick.. Joe Morelli or Ranger? I prefer the man of mystery with the never ending supply of Black Cars. Welcome back everyone. We are at Week 3 of OUAT G3 and only have 9 more days until deadline time! The journal for the First prize turned up this afternoon in the mail. Exciting!! We have a few stories in so far and while I've been really dying to read them I've been good in waiting for deadline! With only 2 more Giveaways to enter your stories into I've decided to get the Cover and Title Contest up and running next week. There will be more details next week but I've decided to have this ongoing until the deadline of the very last giveaway to let everyone have enough time to enter their covers. Remember to have fun with your stories and ideas. That's the reason I started Once Upon A Time! What better way to get writing and be in the running to win prizes? While I haven't actually finished any of the writing I've started I will leave you with two stories I've written a little while ago. They are not perfect but I had loads of fun with these. This first one was written for the Deadline Dames' Readers on Deadline 11. The photos they post to create the stories from are really cool. Check out all the Readers on Deadline. Soul suckers. That’s what they were. All it took was one of their hands raised towards you, fingers splayed and you were paralyzed. A moment later a wispy thin thread would float from your mouth as you began to turn cold, and nothing could be done. They would swallow your soul whole then use your empty shell of a body and manipulate and torture it into doing unthinkable things. Just because a person lost their soul didn’t mean they were dead. Close to it but still breathing and thinking but without purpose or control anymore. When they were done, they would kill you and discard your body in the trench with the other soul less shells. The absolute terror in their eyes was seared into my brain. I would jolt awake every night with sweat coating my skin from the vivid nightmares. They prayed on the innocent and naïve that roamed the streets at night. Lucky for me my own soul was tainted. That made me untouchable. If you had taken a life you were labeled damaged goods and they would move on. This wasn’t well known but that’s where I came in. I was a messenger. The only way to guarantee your soul to be saved was to kill another. I managed to persuade a handful and in turn saved their souls. Those that resisted, well, we all knew where to find them. Now you know your options. So tell me, would you kill another to save yourself? This second story was written from a dream.. well ok it was a nightmare lol. Could be upsetting to others.. posting this warning just in case.. I jumped into her Barina and threw my bag on the floor. Her car was reversing down the driveway so I made a grab for the door before it hit the fence. “In a hurry are we?” I asked. “Yeah…” I said reluctantly. I waited for more but she wasn’t giving in. An hour later we pulled up in front of a small cottage. A large sign hung above the entrance ; in old English writing it read ‘Imprinted with Magick. I felt a little uneasy at the thought of what was in store for me. I did trust Carol so I shouldn’t have been worried. Carol opened the door dragging me behind. The cottage was packed full of books, candles, incense and all sorts of things. A small round woman met us at the counter and after a brief conversation with Carol, led us both to a room in the back. She asked me to place my hands over hers. Once Edwina closed her eyes I snuck a look at Carol, my eyebrows raised in question. She just shook her head, her gaze still fixed on Edwina. I nodded uncertainly. Carol jumped up from her seat excitedly and disappeared behind the heavy curtain, only to appear a few minutes later with some candles, crystals and incense. Edwina moved the table to the side and drew a circle around the three of us. A Witch? But they couldn’t possibly exist. We joined hands. Carol helped Edwina in some kind of cleansing ritual while I stood still not knowing what to do. We moved around the circle slowly, all the while both Carol and Edwina chanted a beautiful song. Faster and faster we spun around until everything around us was a blur. I was starting to get dizzy and my stomach threatened to empty its contents, but as soon as I thought I couldn’t take it anymore, we stopped abruptly. Both Carol and Edwina threw up their hands, so I mimicked them. Feeling both warm and exhausted, I sat cross-legged on the floor trying to collect my thoughts. I felt calm and peaceful in a way I’d never felt before. Whatever we just did, I liked it. Edwina blew out the candles and came over to sit by my side. “How do you feel, love?” She asked. Her unsure smile reached up to her eyes so I knew then she was genuinely concerned. I waved Carol over but froze mid-wave. On my arm was a brilliant blue crescent moon, little vines the colour of ruby red decorated around it. “What the…” I started to say. Edwina gasped at the sight of it. “My goodness, you have been marked! In all these years, I’ve never seen one this decorative. We eventually left, thanking Edwina for her time. The drive home was strange. Carol hadn’t said a word to me at all. I felt warm all over and extremely light. There were so many questions I wanted to ask Carol but I didn’t know what to start with first. I said goodbye to Carol and collapsed on the sofa inside. Pepper padded in and jumped on my lap happy to see me. The only noise I could hear in the house was his purring. I guess Kayla had gone out with friends. The Mark on my arm began to tingle and glow. That’s weird I thought. I pushed Pepper off my lap and got up. I took two steps before I froze. The hairs on the back of my neck stood on end. Outside on the footpath stood a young girl no older than seven. Her back was to me so I couldn’t be sure it wasn’t next doors child. As if sensing me, she spun around. Our eyes met briefly, then she was gone. Just faded away like an illusion. I blinked a few times. Ok I’m losing it I thought. Pepper wrapped his tail around my legs purring. Today’s events had finally caught up with me. “Come on Pepper, it’s time for bed. “ My head hit the pillow and it took less than a minute before I drifted off to sleep. I jolted awoke the next morning with a sense of urgency as the memory of my dream floated back to me. The little girl I thought I saw last night was playing in a peaceful garden I didn’t recognize. Bright Gerberas, daisies and pansies brought the garden to life. I was there too of course but it seemed that I was looking in on the dream. A few minutes went by before the girl was approached by two older boys. I could only guess their ages; maybe 16 or 17. The taller one had scruffy brown hair that badly needed a haircut. He seemed to be the more dominant one, strutting over and peering down at her while the other boy stood back a little. The feeling of peace vanished instantly and it was replaced with fear. The scruffy haired one grabbed the girls’ ponytail fast while the other boy grabbed her feet and they dragged her into some bushes. Panic set in. I tried to run after her but I couldn’t move. Or breathe. My chest felt weighed down as I tried to gasp for air. The pain came after. It was horrible. The smell of something metallic and salty assaulted my senses. I managed to look down to see my shirt soaked through with my blood. The last thing I remember before I woke up was looking out at that peaceful garden, watching the colour drain away to a dull gray. It's scary posting my own stories on here for all to read. I hope by putting myself out there, it will give others a boost in doing so with their own work!! I'd like to say a big thank you to everyone who entered this giveaway! I have used Random.org to choose a winner out of the 148 entries!! 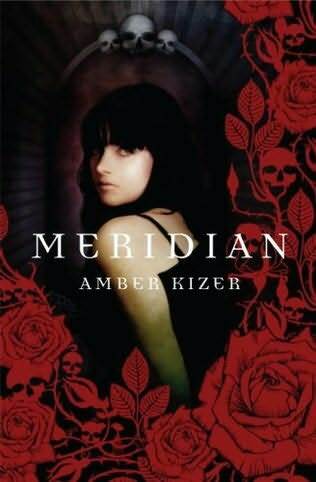 If you could send an email my way with your details I will have Meridian in the mail as soon as I can! !